Today I'm delighted to feature my good friend Carmen DeSousa and her new novel, CREATUS. Without further ado, let's go straight into a synopsis about her book. Creatus by best-selling author Carmen DeSousa is a new romantic-suspense novel with a supernatural edge that answers the myths and fairy tales you’ve heard about preternatural sentient beings. In order to spread the news, we are also giving away a $50 gift card! In order to qualify, just share this post’s URL in the Raffle Copter. Any social website you choose. The more places you share, the more entries you earn. Contest ends midnight, Monday September 2, 2013. The drawing, which includes all participating websites, will be held Tuesday, September 3, 2013. The winner will be posted the same day. That All Important 'First Line'. Greeting from a very hot and sunny Cyprus! I recently read an article where Stephen King talks about writing and more specifically, that all important first line. He said there are all sorts of theories and ideas about what constitutes a good opening line. But it’s a tricky thing for him because he just writes and worries about fine-tuning later. It may take him a month or two to write the line he's happy to start his new book with. But there's one thing I'm sure about. An opening line should invite my readers to begin the story. It should say: Listen. Come in here. You want to know about this! I’ve read some terrific books and some lousy ones. I’ve picked out some of what I consider are the best opening lines. Some books are classics and some contemporary. Have a look and let me know your favourites. For a bit of fun, I’ve added the first lines of my own novels at the end of the post…some I really like, some maybe not so good…perhaps I’ll change some! I've also included two of my novels which are due to be published later this year, Devil's Brae (psychological thriller) and A Seasonal Affair (contemporary romance). It was the best of times, it was the worst of times. It was the age of wisdom, it was the age of foolishness. Charles Dickens, A Tale of Two Cities (1859). Happy families are all alike; every unhappy family is unhappy in its own way – Leo Tolstoy, Anna Karenina (1877). But remember - you can't create a novel based on first lines. A book won't stand or fall on the very first line of prose -- the story has got to be there, and that's the real work. Yet a really good first line can do so much to establish that crucial sense of voice -- it's the first thing that acquaints you, that makes you eager, that starts to enlist you for the long haul. So there's incredible power in it, when you say, come in here. You want to know about this. And someone begins to listen. Thanks for dropping and happy reading! For today 5th August and tomorrow only, KINDLE BOOKS AND TIPS IS FEATURING, The Surgeon's Blade is 99c/77p! If you enjoy psychological thrillers with a medical story then you might enjoy this! Nursing sister, Libby Hunter wakes up in hospital with amnesia after a traumatic sailing accident. The stranger she finds sitting by her bedside claims to be her fiancé. As she cannot remember ever being engaged, she finds excuses to put him off until she is completely sure of her true feelings. Distressed Libby turns to helicopter pilot, Robert for help and understanding, but is he as respectable and kind as he appears to be? Is her so-called fiancé, Nigel trustworthy? The night time intrusion into Libby’s house sets in motion a downwards spiral of cataclysmic and terrifying events, culminating in our favourite sleuth, Diana Rivers stepping in to help solve the case in this chilling mystery. Summer has been crazy! I’m busy with writing and I don’t have a holiday coming up until late September! Roll on late September! 1. DEVIL’S BRAE ~ A Dark Minds Novel (NEW SERIES PLANNED!) Coming soon! For those of you who love my darker psychological novels, (eg Childhunt, The Surgeon’s Blade and Camera Action…Murder), I have embarked on another SERIES. This time it goes under the title of DARK MINDS novels. The first in the series is already written and lodged with my editor. I’m hoping she’ll finish the edits in time for an August launch. The new book, Devil’s Brae is set in Scotland. The main protagonist visits a remote village in Scotland, in hope of recovering from the death of a young child and her sister. When she gets the feeling she is being watched and odd, creepy things start happening she realises she is not alone. Why does she feel so threatened and who is behind it? Coming August/September. 2. A SEASONAL AFFAIR ~All of us love a good romance and I’m delighted the way my novel, A Very French Affair has taken the UK market by storm! Thank you readers! Because I’ve received masses of mail from fans (yes fans and I love you all! ), asking for another romance, I’m now well into writing my next. This is set in England, just before Christmas and is entitled A Seasonal Affair. Catherine finds herself out of a job, and when the roof in her flat collapses…out of a home too - just weeks before Christmas. With a five year old in tow, she is in desperate circumstances. Can Jack, help? Will Catherine unbend and give in to his overtures of friendship, help and possibly love? I’m writing like a mad woman! (yes I know) – and hope to release this in late Autumn in time for Christmas. Most of you are familiar with my Diana Rivers Series – mystery, suspense, psychological thrillers. So far there are five in the series: The Assassins’ Village, Children of the Plantation, The Surgeon’s Blade, Camera Action…Murder! And Childhunt. I’m planning to add a sixth to the series, set in Portugal and will get started on this in the Autumn - Watch this space! 21st – 25th August. 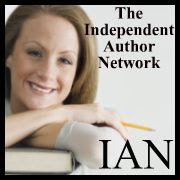 Awesome Indies plan a massive launch of their best books and I am so proud to have four books on their website! The Assassins’ Village, The Surgeon’s Blade, A Very French affair and The Seeds of Time. (To be an Awesome Indie writer you have to be reviewed by a special reviewer.) There are exciting prizes to be won, discounts, games and much more! Later in the year I’ll have more to tell you…in the meantime this is all for now!! Take care and talk to you soon. Thank you for dropping by.